1.When to use a personal loan or a credit card? Loans help you pay for a major purchase you’ve been putting off for some time or that once-in-a-lifetime trip you’ve been meaning to go to. It’s an additional financial line that can help you in times of special needs such as a wedding, property downpayment or emergencies like a funeral. 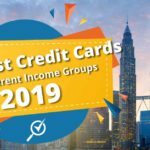 Credit cards, on the other hand, are often used to pay for day-to-day expenses and things you need right now, while you don’t have the funds yet. These expenses can be your weekly groceries, monthly rent, and regularly billed automatic payments, such as the Internet, mobile phone bills, electricity and water bills, and other billed subscriptions. What’s more, you can set it up in such a way that these payments are automatically made from your credit card, so all you have to do is pay one bill every month: your credit card bill. Depending on your financing needs and costs involved, you can evaluate your situation before applying for either a personal loan or credit card. Learn more about the differences between a personal loan and a credit card here. 2. When to use a personal loan or cash advance? A cash advance is a feature offered by your credit card issuer where you can opt to get instant cash from your credit limit available in your credit card and pay the amount back with an interest charge. Choosing between a personal loan or cash advance depends entirely on how desperate you need the money. If you prefer instant cash and are willing to pay the higher interest charge (credit card interest charges range between 12%-18%), you can opt for a Cash Advance by withdrawing the amount with your credit card from any ATM nearby. However, if you have the time to spare, you can do some homework and compare the best personal loan with lower interest rates to fund your financing needs. A personal loan is typically cheaper and allows loaning larger amounts that a cash advance feature of a credit card. 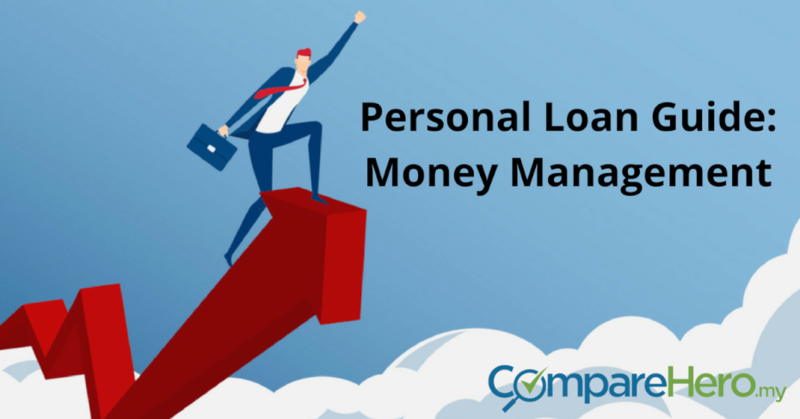 Read more: Personal Loan or Cash Advance: Which Is Better? 1. Keep track of your monthly repayment and tenure period left. Always keep an eye on the monthly repayment you have made every month and make a table or reminder to help track your remaining loan repayments as well as tenure period. This helps ensure you will not be tempted to apply for other financing products and to discipline your spending behaviour to achieve financial freedom. If you have the money to spare from side-income or salary increment, always force yourself to save the money and pay a lump sum to settle your loan early. By then, you will have more flexibility to adjust your cash flow with lesser liability. Read more: How To Settle Your Personal Loan Earlier? It pays to be paranoid with your credit score because you can always remind yourself of the improvements you need to make and also be alerted if there is any fraud or errors in your personal information. This is a crucial part to do, because once you start to make a late payment or once you start skipping it for a few months, the cost is higher than you think. Apart from the late payment fee imposed by banks, your credit score will be badly affected which may result in harder approvals for any financing product you apply for in the future. Banks may offer new personal loans with lower interest rates and you can opt to refinance your existing personal loan to save up some money. Whether you want to clear your loan or refinance your debt with a new personal loan, you must check with your provider on its early settlement fee imposed so that you can be prepared. Some banks do not impose such charges while other banks may charge as high as RM200 or 1% of the existing loan repayment. Some banks offer Takaful or conventional insurance coverage for personal loans and you can buy additional insurance as well. This insurance is particularly useful for borrowers that have a higher outstanding loan. It guarantees that they do not have to repay the loans if certain circumstances such as critical illness or permanent disability causes them to lose their job and are therefore unable to service the loan. However, sometimes the cost for the insurance to cover your loan may be higher than an average insurance plan due to interest rates and also limited payout depending on your circumstances. Hence, it is sometimes better to get an average life insurance with higher coverage to cover your loan in case things go bad. Apart from the seven things you need to do if you have a personal loan, you need to take note of these seven mistakes to avoid. It can be confusing and overwhelming when you are applying for different financing products at different stages of your life. Thus, you should keep track of your loans and budget so that you can make better finance decisions without hampering yourself to a pitfall of piles of debt. It is always good to follow the rule of thumb of 40% debt service ratio, where your total debt repayment does not exceed 40% of your total income on a monthly basis. Read more: How Do I Calculate My Debt Service Ratio? Applying for a personal loan can be a complex procedure especially if you apply through online channels. 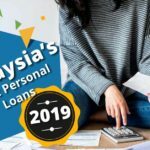 You must do your research thoroughly on the source of the loan application and make sure you do not get scammed from a personal loan application that happens frequently in Malaysia. 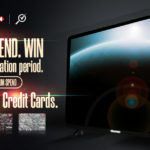 For example, a comparison website like CompareHero.my is a free service and we do not charge any fees to the customer. Our site offers a free comparison platform for credit cards, personal loans and broadband plans in the market. You can apply for these products via our site by filling up your information and our customer service team will contact you in the shortest time to assist you throughout the process of your application. For more information, please click here. Credit cards usually incur higher interest rates than a personal loan and using it to repay a personal loan or any other loans will increase your financial burden. However, if you have two credit cards and at least one of them has a 0% balance transfer plan, then it makes sense to settle your personal loan with a credit card and optimize the balance transfer feature afterwards to save more money. You do need to factor in the early settlement fee for your loan if you plan to clear your personal loan with a credit card before the maturity date. Many Malaysians tend to spend impulsively on high-priced items without considering cheaper alternatives or better budget planning. This brings them to the desperate call for unnecessary and overwhelming personal loans. In simpler words, they made bad financial decisions. Remember to always save first then spend, instead of spending first and paying for loan installments later, it’s much cheaper and less risky! 5. Avoid applying for many personal loans at the same time. It is interesting how credit rating agencies can trace the number of applications you have made for certain financing products and this can translate into the approval rate for your personal loan application too. Banks may doubt your application and mark it as highly suspicious or as a scam if you have submitted an application too many times within a short period of time. So take your time to do your research and collect information before applying. Many people also have the tendency to only pay off their debts when they have extra money by the end of the month because of insufficient funds resulting from irresponsible budgeting or other reasons. This can cause damages to your credit score and may even land yourself in bankruptcy if you do not take it seriously. Always prioritise your debt repayments before taking into account other components of your finances so you can achieve financial freedom. Whether you are unable to repay the loan or you face difficulties in your life such as losing your job, you can always reach out to the banks or Agensi Kaunseling & Pengurusan Kredit (AKPK) for help. Some may feel embarrassed or afraid to be declared bankrupt as soon as they call out for help but this is not necessarily the case. Banks prefer to not declare you a bankrupt because they prefer to get their money back which means they are more willing to help you rather than to lose the money they loaned you. On the other hand, AKPK was setup by the government and Bank Negara to help Malaysians with their financial issues and difficulties including debt restructure and budgeting. What Else Should You Know About Personal Loan? 1. Should you borrow money from a loan shark? Loan sharks or ‘Ah-long’ as they are popularly known amongst Malaysians, are illegal money lenders that usually target the desperate and the poor. They’re known to tempt and lull you into a sense of security by being friendly and helpful at first, offering you financial help when the banks would not accept your loan application – due to poor credit rating or if the amount requested is too low. But the money that you borrow will come at a very high price, not to mention risk. You may think that it won’t be so bad if you’re only borrowing a small sum of money and intend to make the repayments within the shortest period of time possible, but it doesn’t work that way with these illegal money lenders. Here is a good reason why you should not borrow from a loan shark. : Have you ever heard of the term ‘sepuluh-tiga’ or ten-three? Those who are within the inner circle of the money-lending community understand this term well, as it refers to the percentage of interest charged to the borrowers. Sepuluh-tiga interest rate means RM3 interest will be charged on every RM10 that you borrow from the money-lenders, which translates to 30% interest rate per MONTH. That’s a whopping 360% interest per annum! 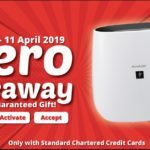 To give you a clearer picture on the ridiculous sum that you’ll have to repay them, let’s say you borrow RM1,000 from the Ah-long, you’ll have to pay RM300 per month for interest alone. That means that by the end of the year you’ll be paying RM3,600 JUST for interest, and at the end of a 12-months loan tenure you’ll be paying RM4,600 to repay the RM1,000 that you loaned. Still, think it’s worth a try? Sepuluh-tiga isn’t the only interest rate available, ridiculously high as it is. There are also sepuluh-empat (ten-four) and sepuluh-lima (ten-five) interest rates given to specific amounts of loans or borrower’s credit situation. Not forgetting the violence and harassment for not repaying your debt, things can get pretty ugly. Never, ever, do it, unless it is a literal life or death situation and you have exhausted all other available alternatives. 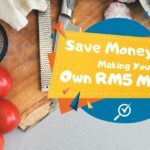 Find out the best cash financing options in Malaysia here! 2. How to apply for a personal loan with a bad credit score or low-income? Depending on the banks, some are offering an instant cash option for those with income levels as low as RM1,500 without collateral or a guarantor needed. 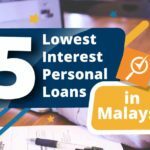 Interest rates for such products may be higher than the conventional personal loans, yet it is still a better option than borrowing from the loan sharks. For those with a bad credit score, you can improve the approval rate of your personal loan if you can provide at least three months of income statements and the latest two years of EPF statements with sufficient funds in it. Again, do not be afraid to reach out to AKPK if you really need help in terms of legit funding options as they can help you to negotiate with banks too, depending on cases. Check where to get a loan if you have a bad credit score here. 3. What is the maximum amount of personal loan you can get at one time? The total amount of loans (all types) issued by banks depends on your debt-income ratio and risk profile. In general rule-of-thumb, banks accept debt-income ratio below 60%. For example, Shazmi earns RM4,000 and has the monthly commitment of RM2,000, which translates into a debt-income ratio of 50%. In this case, she is eligible to apply for a personal loan if she does not have any other commitments. However, she won’t be able to borrow much as a small loan with monthly installments of RM 400 will already push her debt-income ratio to the upper limit of 60%. Nonetheless, banks may take a stricter approach to determine an applicant’s eligibility for the personal loan. It is always good to check your credit score which may give you a clearer indication of your personal loan application’s approval rate. Always try to lower your debt-income ratio to ensure that when you really need the money, you will be approved. 1. Should you use a personal loan to pay off your credit card debts? By logic, you should do so to consolidate your debts using a personal loan with lower interest rate. However, credit cards in Malaysia offer great balance transfer deals (with 0% interest) and you should consider this rather than applying for a personal loan to minimise your cost. 2. Should you use your credit card to pay off your personal loan? It depends on the way you manage your credit card with your bank. If you have sufficient credit limit and were able to negotiate for a 12 or 24-month interest-free transfer period, you can opt to pay with your credit card for your remaining personal loan and use a cash advance. However, it is subjective to different individuals depending on their financial structure and the bank’s openness towards such a deal. Do make sure you pay off the money you owe on your balance transfer account before the grace period is over, as the interest you will have to pay on your credit card debt is likely to be (much) higher than any personal loan! Find out the debt repayment tools you can use here! 3. Should I choose a personal loan or balance transfer to consolidate my debts? In terms of debt consolidation, you will be consolidating several loans into one by applying for one personal loan. Hence, you should choose the best option that minimises your cost or else it does not make sense to consolidate your debt in the first place. Between a personal loan and a balance transfer, the former option allows you to have the flexibility to manage the funds while the latter can only be applied to credit card debts. So you should consider your needs to make the best decision for yourself. Just make sure you take any early settlement fees into account, when making your calculations! 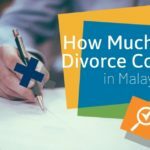 Check out the best balance transfer plans in Malaysia here. 4. Can I transfer my loan to another bank or another person? Transferring your loan to another bank basically is just applying for another loan to clear off the existing ones. If it turns out to be cheaper at the end of the day, you are encouraged to do so. On the other hand, a personal loan or any other loans cannot be transferred to another person because it links to your unique credit score and personal information. Just make sure you take any early settlement fees into account, when making your calculations! 1. 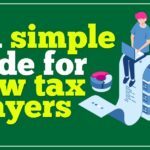 What happens if I can’t pay back my loan? You will need to inform the bank about your problem and the bank will assist to refer your case to AKPK. The government agency will then come in to analyse your financial structure and problems and provide you with the proposed solutions to resolve your debts while taking care of daily necessities. If it turns out to be a severe case, AKPK may take your case one step further to help you to declare bankruptcy if it comes to that. However, the agency will do their best to assist all individuals and will only resort to bankruptcy as the final option under certain circumstances. Nonetheless, you need to know that once you have informed your bank about your inability to repay your loan, your credit score will be affected with a record and it may take a while to get back in shape till you fully clear your loan. Till you gain the banks’ trust and confidence, you will not be able to apply for any other loans or credit cards in the near future. Read more: What Happens When You Make Late Loan Repayments? 2. What happens to the personal loan if I die? Usually, the guarantors will assume the responsibility for the loan. If you did not leave behind any possessions of value in your estate, creditors will have to write off the debt. In such cases, creditors cannot go after the descendants and next of kin of the deceased. However, if there were other possessions in your estate such as house, car, cash or stocks, creditors could choose to sue your estate to claw back what is owed them which could leave nothing to your family. Hence, it makes sense for your family to continue paying the installments on behalf of you and make claims against the estate later to prevent accrual of late payment charges, as well as prevent any delays to inherit those estates. Despite so, this hassle can be avoided if you have insurance for your debts as your family can claim from the insurance company to repay the remaining debts without jeopardising your assets or whatever that is left to be inherited by your family. 3. Can I repay my personal loan early? Yes, you can. Most of the banks offer early settlement for free if you check clearly. 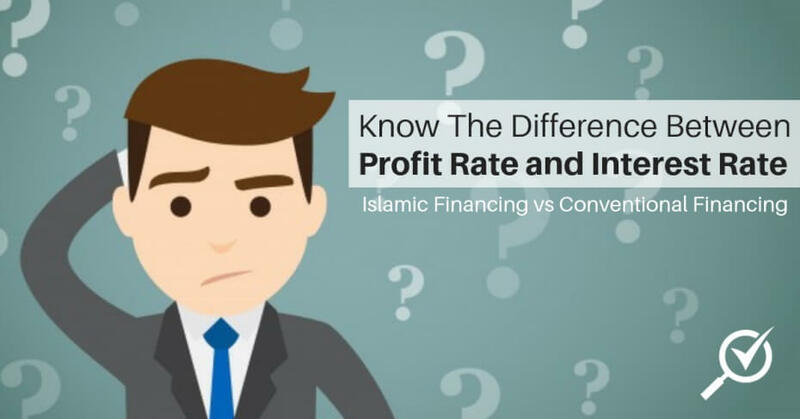 However, some banks do charge early settlement fee using the ‘Rule of 78’ or concept of ‘Ibra’ for Islamic loan. 1. How does AKPK work? 2. When is AKPK useful? 3. Do you qualify for AKPK? 4. Where can you apply for AKPK? Bankruptcy is the final straw for people who cannot repay their debt. Depending on what kind of debt you have you could lose everything from your house to your car. Unless you have almost no assets of value, a bankruptcy should be avoided. Here are several ways to survive from bankruptcy. When you declare bankruptcy, your case will be handed over to the DGI. In order to settle all outstanding debts, the DGI will investigate your current financial position. Any assets or properties you might have will be sold and the proceeds will go to your creditors. Learn how to identify the 7 red flags towards bankruptcy here. You have to give up all your belongings and assets. You are not allowed to open a bank account without the approval of the DGI. You are not allowed to travel outside the country without first getting approval from the DGI or the court. The DGI will hold your passport. You are not allowed to do any business nor become a company director nor even be part of the company’s management. You have to sacrifice a certain percentage of your monthly income to the DGI to repay your debts.